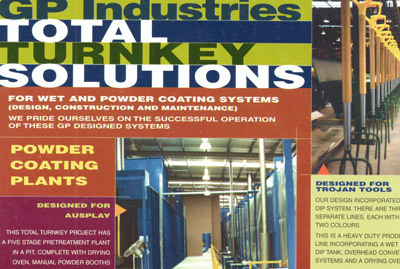 What is the Powder Recovery System? 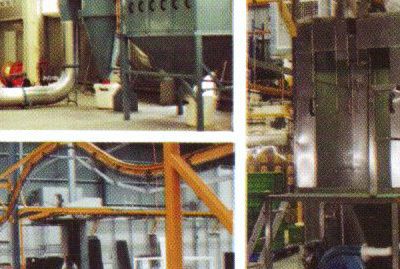 The input of a Cyclone Collector is attached to your booth while the output is hooked up to an exhaust fan. The overspray powder is funneled through the fan and into a centrifugal force where it is made ready for usage once again. Recovery of overspray powder with the Cyclone Collector can reach efficiency as high as 95%. In cases of large recovery ventures efficiency can drop down to about 85% at the low end of the spectrum. 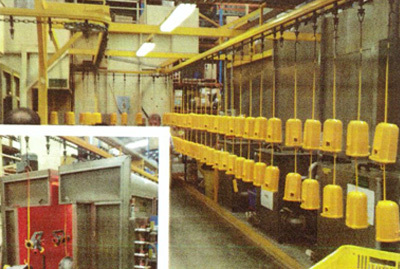 This is a popular recovery method for powder coating systems that rely on colour changes. Cartridge filters operate on the same concept as the Cyclone Collectors but in different functionality. Cartridge collectors replace the exhaust fan above with actual cartridges that have filters built into their body. The collected powder is pulled through the cartridge and filtered appropriately. Cartridge filters are more hands on as they run the risk of becoming clogged at a higher rate. However, when a cartridge collector is operating as it should the filter will reach a peak recycling efficiency of 99%.